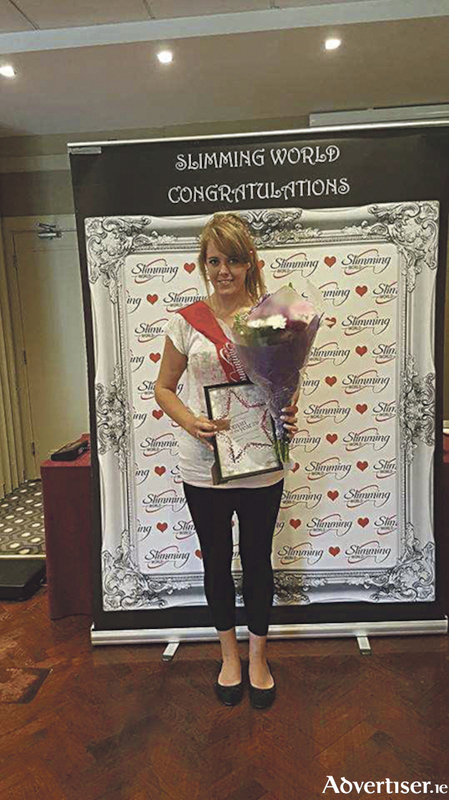 Super slimmer, Leanne has lost almost seven stone so far and been crowned ‘Woman of the Year’ 2018 in her local Slimming World group. Leanne Keegan, 25, lost a life-changing 6st 11lbs in just over 14 months and has gone from a dress size 20 to a 12. Leanne joined Slimming World in May 2017 after becoming increasingly unhappy with her size. “I started to put on weight at a young age and I lived on unhealthy food for years. I tried lots of different ways to lose weight, but they usually left me feeling hungry or miserable – or both, in fact. It became my electric blanket. “My family and friends are all amazed by how much I can eat and still lose weight. I still eat many of the same meals that I did before I started losing weight, like burgers, chips, curries, pasta dishes. Now I just prepare and cook them differently – and they taste so much better. I never have to miss out and I don’t have to get hung up on weighing and measuring everything I eat. Leanne added that she feels like a completely different woman to the one that first started out on her weight loss journey. “I feel like a different woman to the one who walked into Slimming World 14 months ago, weighing over 18 stone and winning ‘Woman of the Year’ is a real honour because there are so many amazing women in our group. I remember feeling like there was no hope when it came to my weight, but I’ve realised that when people believe in you and you believe in yourself, you can do anything you set your mind to. Sinead’s Slimming World groups are held every Tuesday at 9.30am, 5.30pm and 7.30pm in the Shamrock Lodge Hotel. To join or find out more, call in to any of our groups, call Sinead on 087 6820759 or check out her Facebook page “Sinead’s Slimming World Athlone. Check out our advert or www.slimmingworld.ie for details and times of all local Slimming World Groups.